After winning the Time Magazine Readers' Poll on who should be included in their annual list of 100 Most Influential People in the World, beating out US President Donald Trump, UK Prime Minister Theresa May and Canada's PM Justin Trudeau, Philippine President Rodrigo Duterte is finally featured in the famous list. 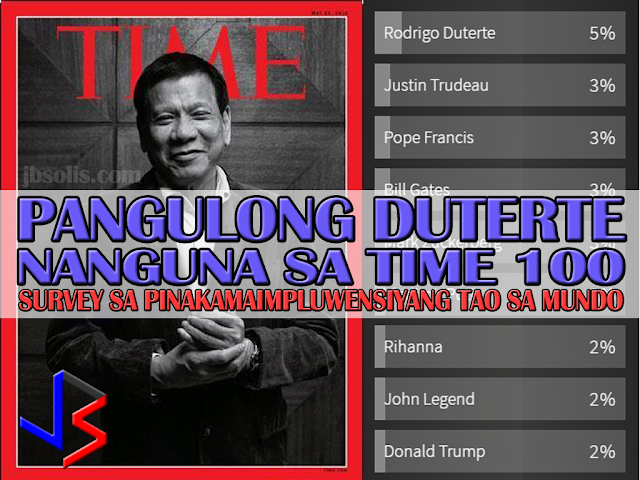 Time Magazine editors however chose the opportunity to politicize the situation and hit the Philippine President over his controversial War on Drugs by choosing Former Colombian President César Gaviria to write the profile article of Duterte, and why he is included in the list. 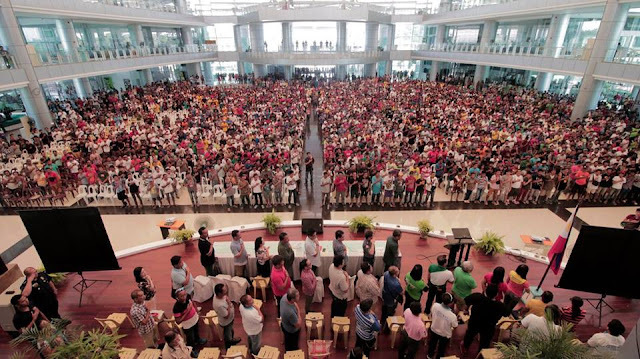 Gaviria has criticized Duterte before. Looking at the background of Cesar Gaviria, one would think it ironic that Time Magazine chooses the former leader of a country infamous for being the number one source of illegal drugs in America. In 2013, Colombia was the number one producer of Cocaine in the world. While that number is lower now, 60% of the world's cocaine come from Colombia. Gaviria himself became controversial after it was discovered that his government had a secret agreement with Drug Kingpin Pablo Escobar. Escobar agreed to surrender to authorities and serve a maximum term of five years, and the Colombian government would not extradite him to the United States. In addition, the prison to house him, La Catedral, was built to Escobar's specifications. Escobar was also given the right to choose who would guard him, and it was believed he chose guards loyal only to him. Moreover, the prison was believed to have been designed more to keep out Escobar's enemies and protect him from assassination attempts, than to keep Escobar in. The finished prison was often called "Hotel Escobar" or "Club Medellín", because of its amenities. La Catedral featured a football pitch, giant doll house, bar, jacuzzi, and waterfall. It is also interesting to note that Gaviria is the head of the Liberal Party of Colombia. He became a replacement presidential candidate after the original candidate died (assasinated by drug cartels). During his single, four-year term, he led a failed peace deal with Colombian FARC rebels. 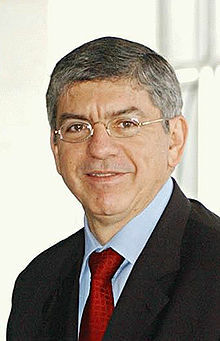 Also during his term, the Colombian Constitution was replaced. Part of the main change is the ban on extradition of Colombian citizens, likely influenced by Cartel bosses who are avoiding extradition to the US. His only "victory" in the Colombian Drug War was the killing of Pablo Escobar. Some believe that it was done to silence the drug kingpin forever. 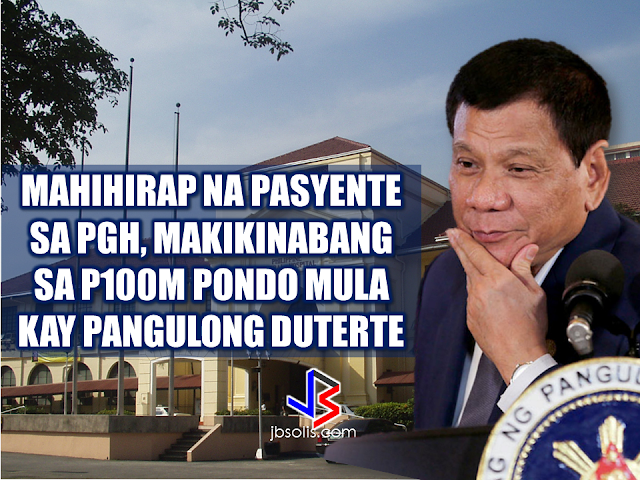 Never included in the article written about President Duterte were the massive accomplishments in the War on Drugs. There was no mention of the hundreds of thousands of drug users and pushers who surrendered and are now in the mega-rehab centers that the government built for them. 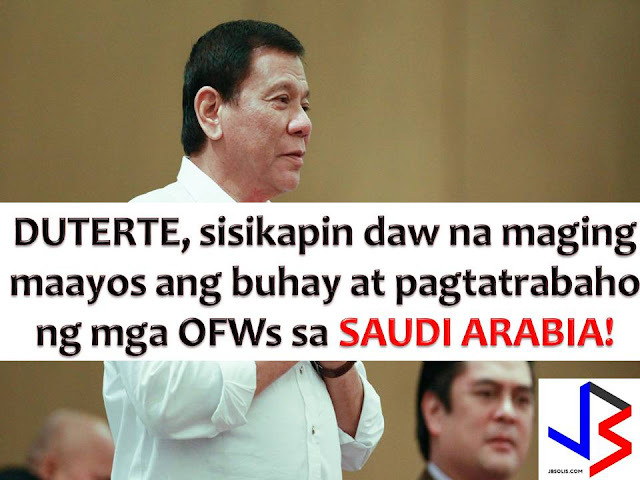 De Lima is in the List too? 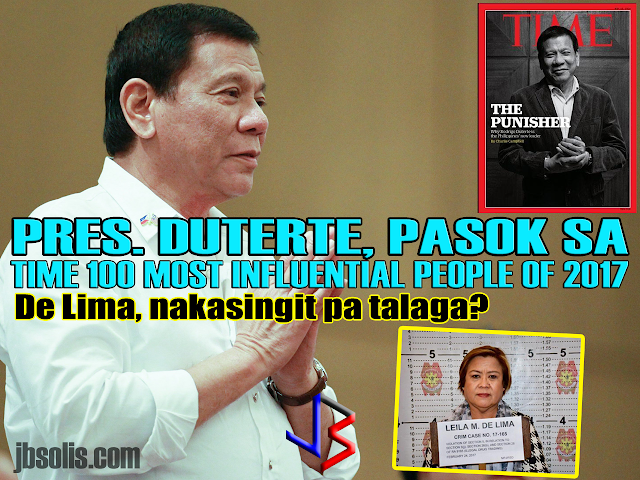 Adding insult to the negative portrayal of President Duterte, Time Magazine included his most vocal critic, and accused drug lord protector, Senator Leila De Lima in the list. Placed under the "Icons" category, De Lima is being portrayed as the only voice brave enough to oppose the President's brutal crackdown. 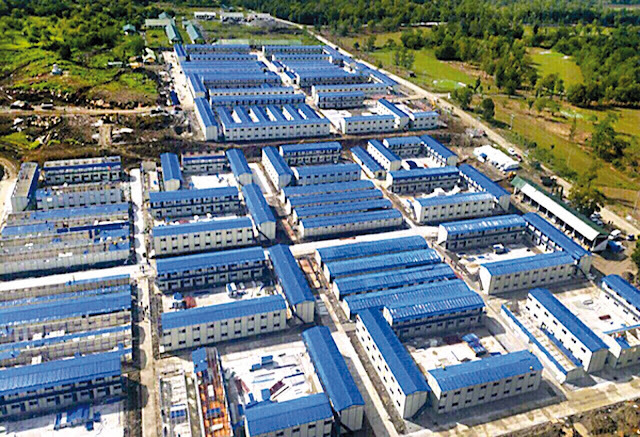 A former human rights lawyer, De Lima is in prison after being tagged by several drug lords for receiving drug money and turning a blind eye, and in fact encouraging their continued illegal operations, while providing them cozier prison houses called "kubols." Sounds a lot like that Colombian president's deal with Escobar. Her Time Magazine profile was written by Samantha Jane Power, a fellow human rights advocate with extreme views. She (again) used Duterte's Drug War, painted as an assault on human rights, to give credence to De Lima being included in the list. Samantha Jane Power, was a former UN Ambassador to UN, and was once a campaign adviser to Barrack Obama. She resigned after calling then candidate Hillary Clinton a "monster". She was criticized for wanting to deploy the United States armed forces to combat human rights abuses in other countries, contrary to the idea that the main purpose of the military is for national defense. Russian diplomats call her a stabilizer of countries not allied to the US. 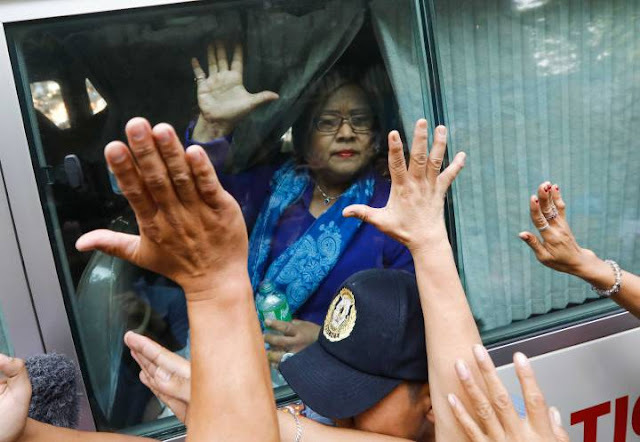 Missing in the profile she wrote were the several cases that De Lima is facing, as well as the controversial private details of her amorous relationships with several of her bodyguards.